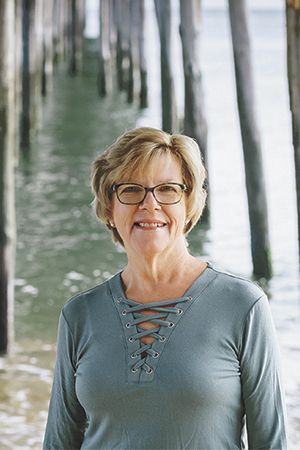 Marcia fell in love with the Outer Banks as a child and, after graduating from Virginia Commonwealth University in Richmond, moved here to make it her home. She spent several summers working backstage at the Lost Colony and then became sales manager for a local newspaper. She began her real estate career in 1985 and came to Village Realty in 1988. She was recognized as Sales Agent of the Year a number of times and has been one of the top producers for many years including the second and third quarters in 2018. Marcia is the only original on-site agent still affiliated with the company. She has over 30 years of experience listing and selling homes in The Village at Nags Head and other areas of the Outer Banks. Her primary goal is to provide excellent service to her clients. Honesty, integrity, and ethics are of paramount importance to her. She knows communication and attention to detail are keys to a smooth transaction. Let her help you experience the difference experience makes! Aside from real estate, Marcia and her fiancé Mark enjoy live music events, especially the Jazz and Heritage Festival in her beloved city of New Orleans. She is also passionate about purple martin conservation. These fascinating birds migrate every year from Brazil, typically to the same nesting areas, to mate and raise their young. Her canal front home in Colington Harbour is an ideal site for martin houses. One of her favorite rites of spring is awaiting the arrival of the first birds in early April. MLS# 103744: Check Out NEW Price!